Heading to the famed Greek island of Mykonos? Well, let me just keep it real with you. 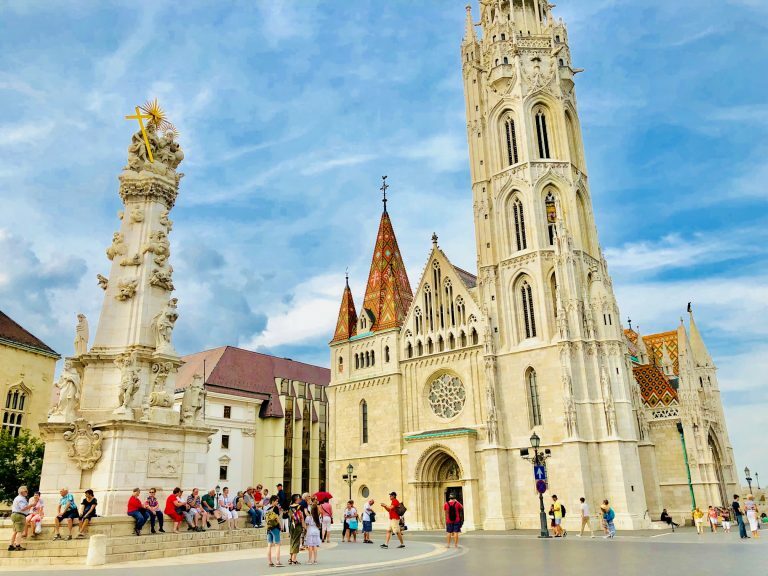 This place has become mainstream AF with not only tourists coming in from all over the world, but celebrities also making this one of their go-to destinations. 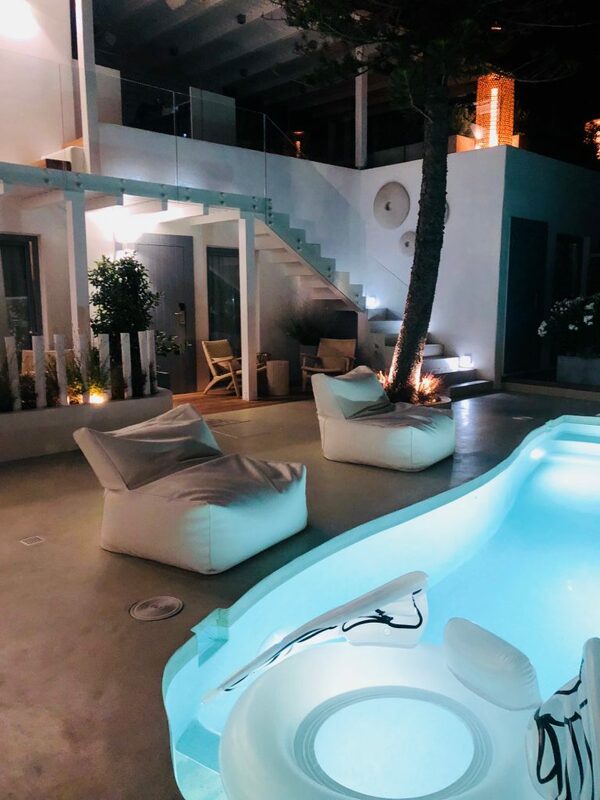 With the amount of demand that Mykonos has created, bourgie exclusiveness is undoubtedly present throughout this small island--but perhaps by having sacrificed some of the genuine cultural richness that one might find on less high profile Greek islands. Make no mistake: Mykonos is a party island. Locals claim that it's what Ibiza was 5-7 years ago. Another local shared with us that to really do Mykonos right, you need at least 10,000 euros to blow. In other words, while it may not have become as much as a cliché as South Beach, this island has become the playground for the wealthy. 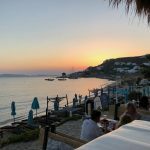 This itinerary will take you through how to do 3 days in Mykonos properly but still more affordably. You'll find raw feedback on all the hyped places we made it to and learn whether they're truly worth the hype or not. 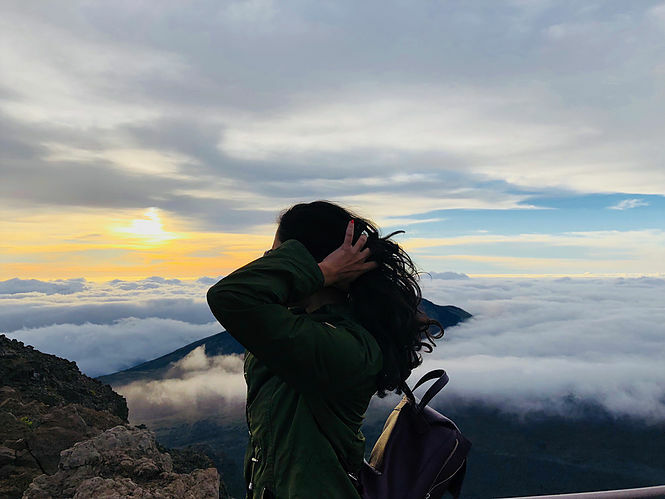 Above all, one lesson stands out: I would recommend doing this trip with a group of friends to take advantage of all the social activities and parties. Is there a visa requirement for US Citizens when visiting Mykonos? What is the recommended travel group for Mykonos? Again: Mykonos is a PARTY ISLAND. Highly recommend going getting together a group of friends because you're going to want to build off of the energy of others your entire time there. 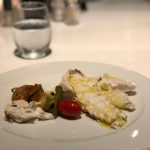 What is the recommended length of stay for Mykonos? This depends on how much you are willing to spend. I found three days to be enough for Mykonos. What is the language spoken in Mykonos? 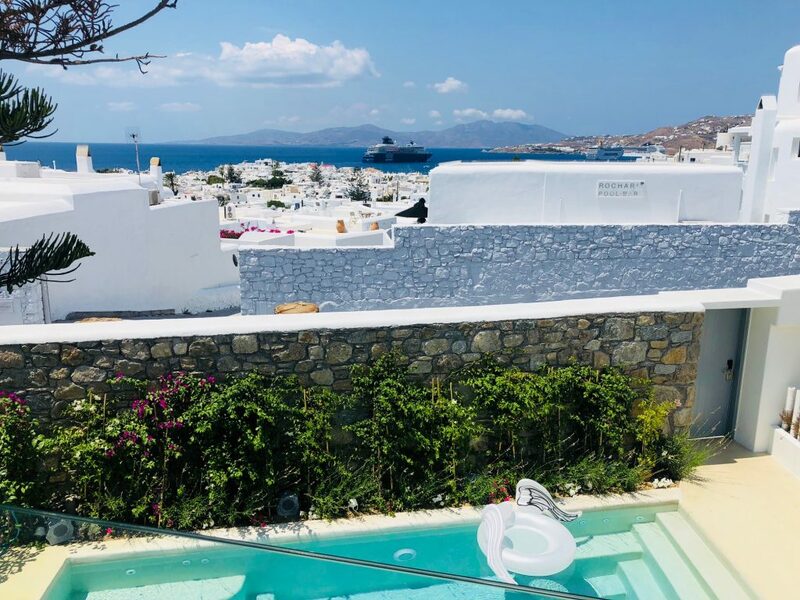 We came to learn that not too many locals live in Mykonos (not least because, with the amount of foreign wealth pouring into the island especially for the last 10 years, not many are able to afford it). 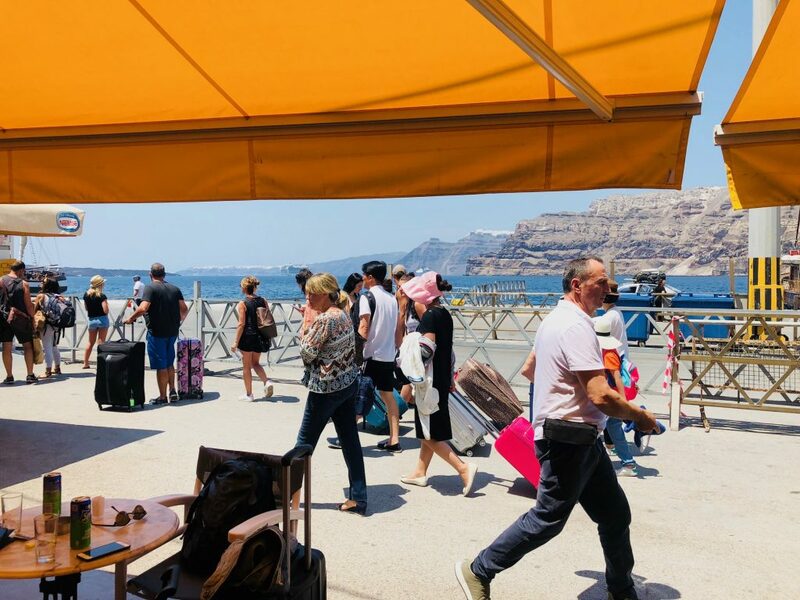 Eight months out of the year, Greek men and women flock to the island to contribute to the service and tourism industries. 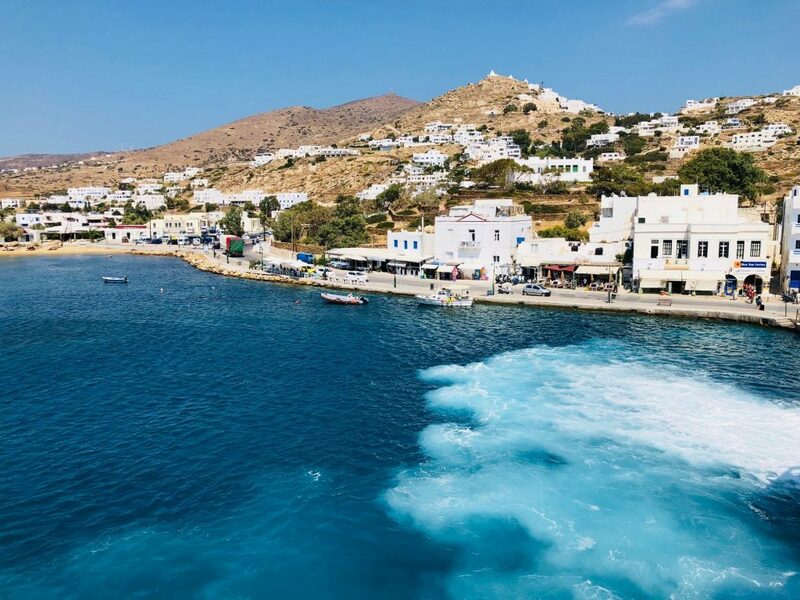 Since these two industries are so heavily concentrated on the island, you will find that most people in Mykonos--many of whom are from the mainland but focused on serving foreigners--do speak English. Are there any vaccinations required for US Citizens when visiting Mykonos? Is Uber available in Mykonos? Uber is not available and wow we have never spent more on taxis in our life. The local protocol is to have either a hotel or restaurant/day club order you a taxi. On average, we ended up spending 40-50 euros a taxi that would take us anywhere between 1.5-3 miles. I was stunned by the cost of these trips. You will find the island full of people using ATVs to get around--albeit not always with the utmost safety. 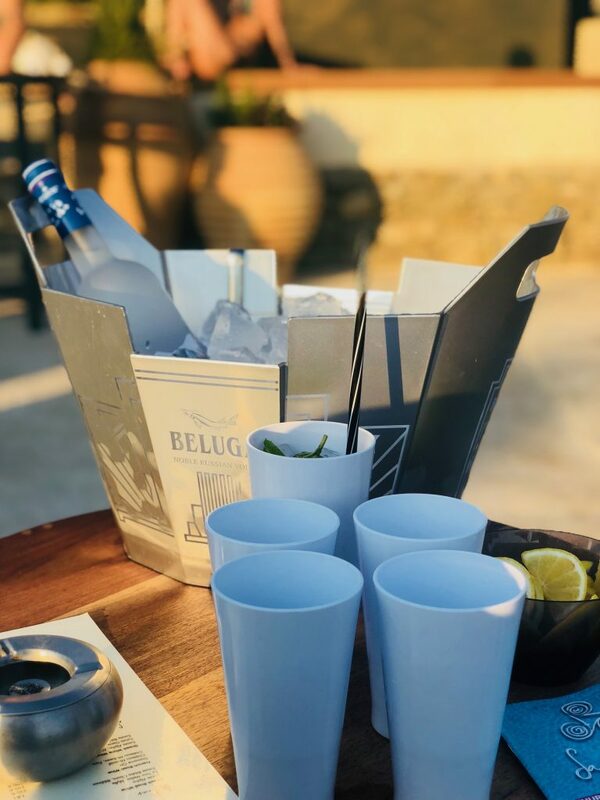 Although renting a car or ATV are valid options, especially for the adventurous, you might reconsider if you are planning on drinking most of the time. Riding an ATV on the island, which is replete with narrow, two-lane roads, especially without the right protection, can be very dangerous. There is also a bus that can be used but you will have to plan around the arrival/departure and walk some. Euros are used in Greece. You will need local currency on you for paying for most of these taxis. You would think that if they're charging 40 euros for a 2-mile trip, they would accept car. Obviously some funny business going on with the taxi prices. Prices in Mykonos are steep. Be ready to keep your wallet open during this trip. 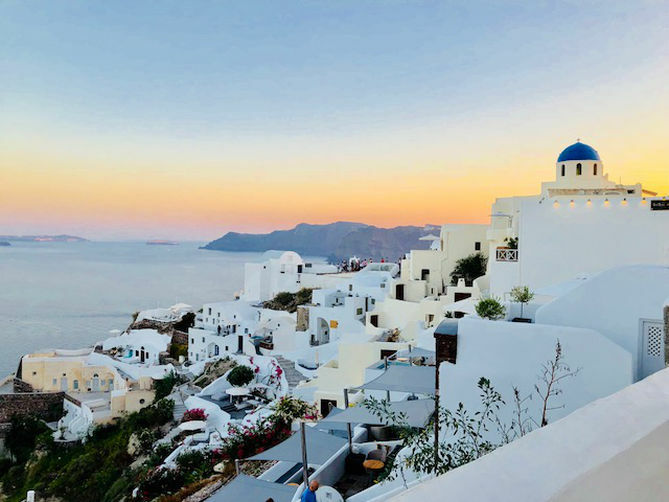 Although there might be ways to do visit Mykonos more economically for those who are truly dedicated to bargain hunting (and open to accommodations far outside of the touristic core of the Old Town), this itinerary isn't for you if you're looking for an economic trip to Greece. Can you drink the tap water in Mykonos? What is the weather like in Mykonos? This trip itinerary is for the end of July. 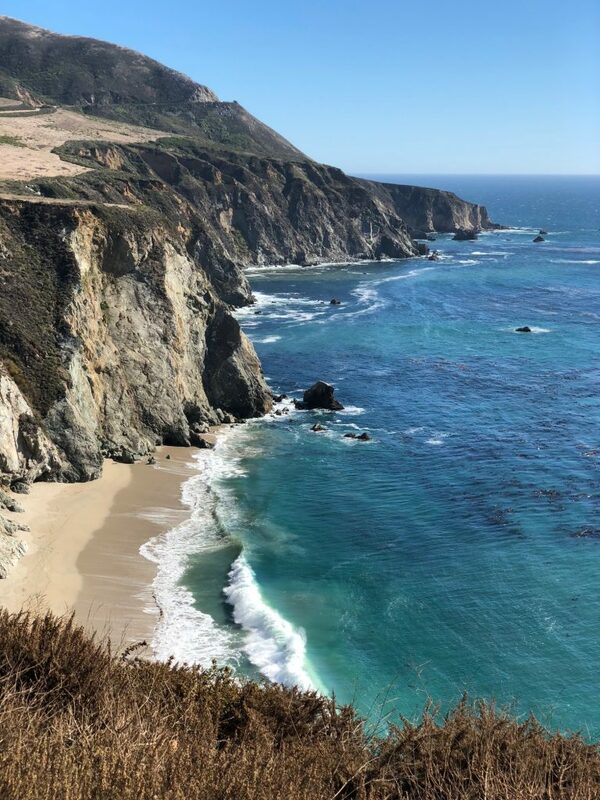 Average temperatures fluctuate between 80 - 90 degrees F. Be ready for the dry Mediterranean heat and a slight ocean breeze at night. 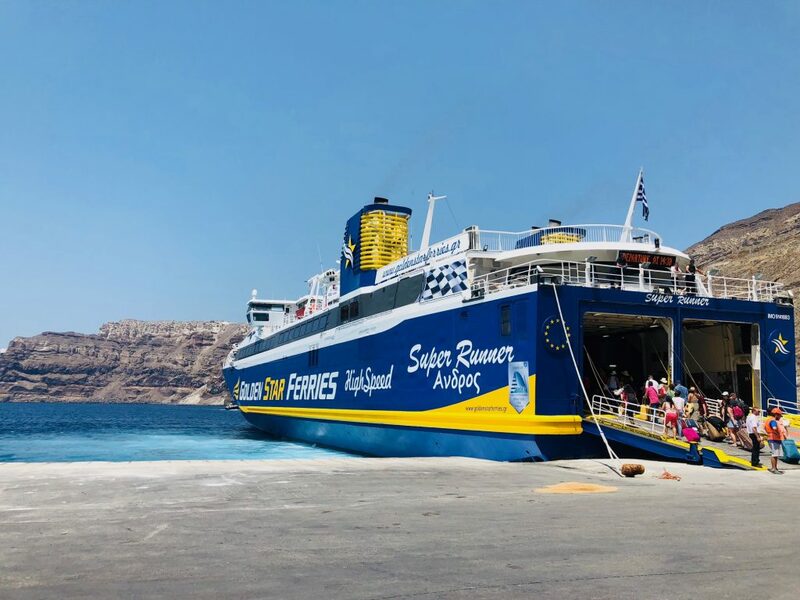 What are some of the ways to get around the Greek islands? You can fly to some of these islands or take a ferry between many of the more popular islands (we used Go-Ferry). You can reserve your Ferry here. 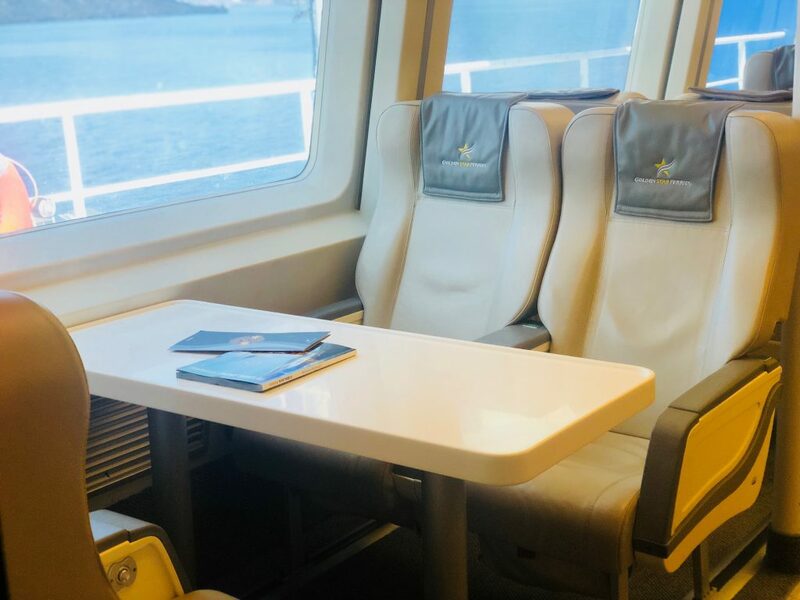 We spent a bit extra on the VIP experience which isn't too different from the standard seating in terms of comfort, but in a private cabin that comes with its own snack bar and server. The private seating area and a table in VIP worked out nicely when it came to watching movies during the just-under-three-hour trip. Each ticket cost about 100 euros. You can take a bus for 2-3 euros but you may end up walking some with your luggage depending on where your hotel is located. For first timers, find a spot in Old Town Mykonos. 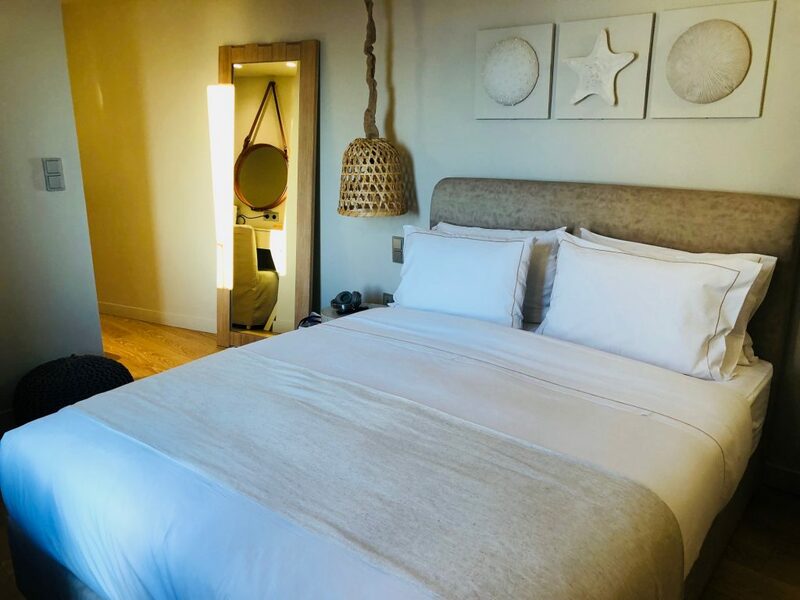 We stayed at the Oniro Suites, a brand new hotel that opened in Spring 2018. Depending on when you book the price can range anywhere between $350 - $500 a night. Remember what I said earlier about Mykonos being a playground for the wealthy?? Hope y'all ready to spend dat $$$$. Night 1 - hit dinner at Mea Culpa in the Old Town. There are several restaurants next to Mea Culpa if you want to "shop" around before you dine. Night life - there is a lot going on in Mykonos town. Clubs, bars, restaurants that turn into dinner parties. Take this night to explore the night life of Mykonos town. One of the bars we ended up at was called 'Breeze Cocktail Bar.' They were playing that good good hip hop. Nights go till sunrise here. Around 3a.m. - if you're feeling some late night food, Jimmy's Gyros is an infamous spot. There are also some bomb gyros right next to Jimmy's. I think Jimmy was a little tipsy that night. Because we went in and he randomly snatched our food away from us while yelling obscenities. Go to Gyros Corner O Pontos right next to Jimmy's if Jimmy himself is too lit too handle. 12:00pm: The great thing about Oniro Suites, with few guests and a desire to impress, they kept the breakfast going till past noon. That's what happens when you're on a party island. 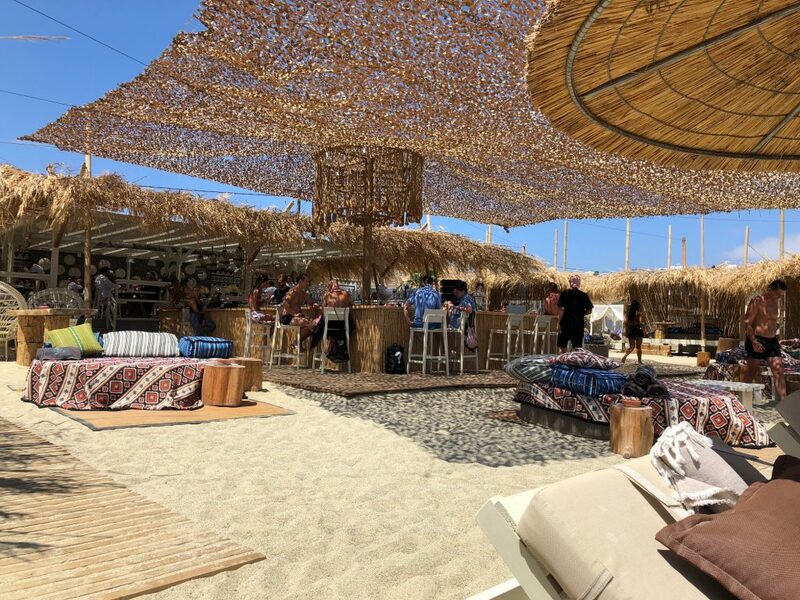 Yes, this is Lindsay Lohan's beach club in Mykonos. Vibe: the day we went, they were playing only Greek House music. You can say it was pretty chill, not exactly what we were expecting. 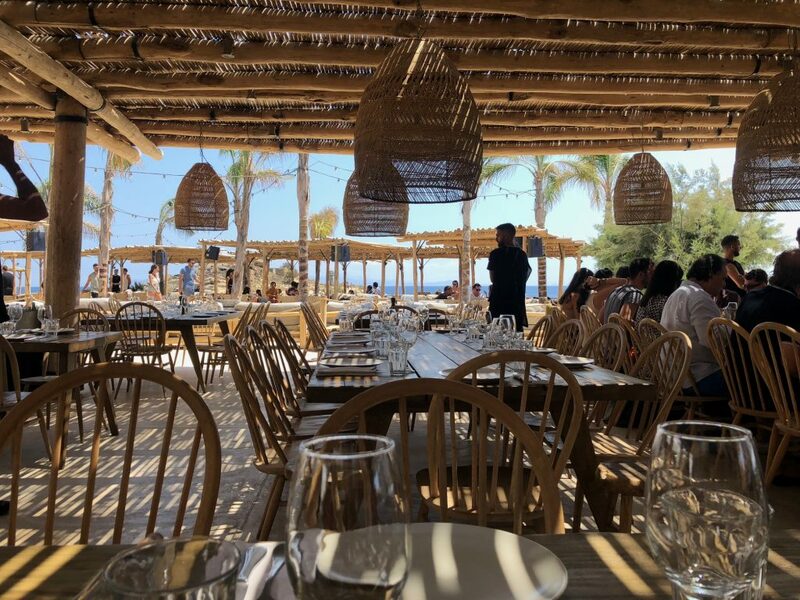 The restaurant is one of those that you walk in thinking it's just another restaurant, and then BAM you're in this open outdoor patio with great music going off, flashing lights, and people standing in their seats while their food is being served. YES, this is a Bagatelle-style experience for those that have had one. 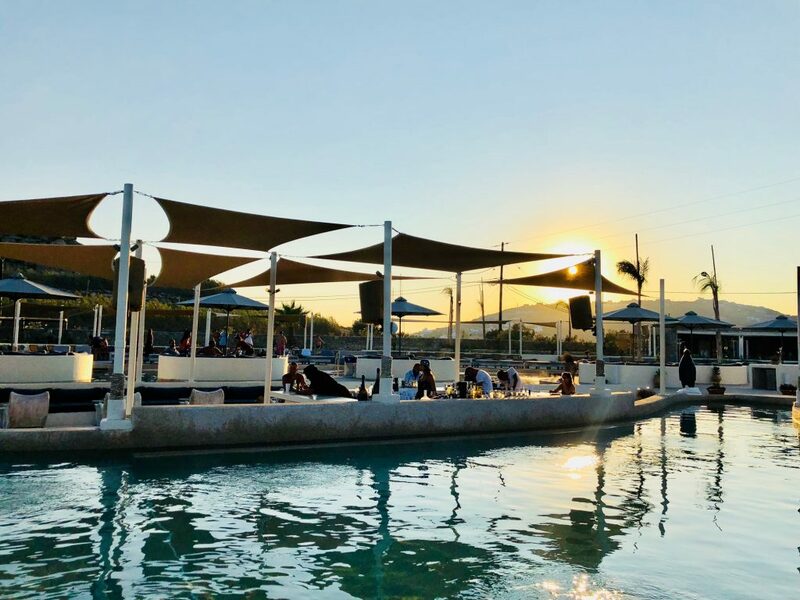 So Scorpios is one of the "IT" spots on the island--or at least it was during the summer of 2018. We had lunch there and were disappointed with the service. The wine sommelier was really pushy about us getting a bottle of wine. At first I thought, maybe it was just a cultural thing. But I soon realized how the servers here want to flip these tables as quick as possible. There were four of us dining and we weren't THAT hungry. Our server was adamant that we order more food. We neglected to order as much food as he suggested, and still had plenty of leftovers. The music stayed the same all day. No lyrics, just Mediterranean-esque deep house. Sure, it was definitely beautiful music. But to be there all day and here the same style of music got old. And it wasn't really the best music to "rage" to. But that's the thing, no one was really raging here. They were just here to see and be seen. It was very sceney and felt like a Dolce & Gabbana commercial, if not to say at the same time counter-intuitively low key and repetitive. In general, anywhere you want to go that requires a reservation--have the staff at Oniro Suites take care of that for you. They are well connected with a lot of these "IT" places. Pro-tip: An alternative to Scorpios that we actually heard had a better vibe, better music, and better service is Nammos. 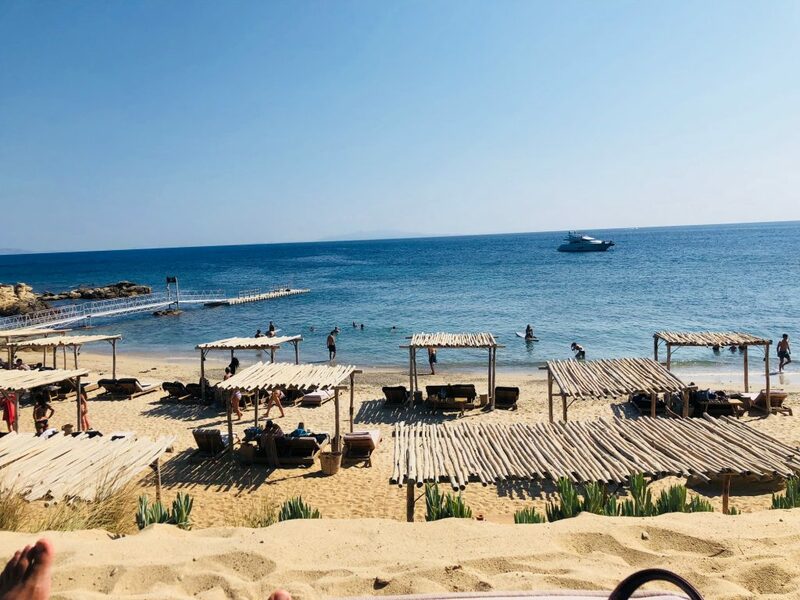 After having had enough of the same repetitive beats at Scorpios, we decided to take the beach route over to SantAnna Beach Club in Mykonos. Now this place was MUCH more our scene. Brand new beach club, people up and dancing, and Fat Man Scoop performing. It was a VIBE. Go ahead and make an appearance at one of the aboves and then make your way over to SantAnna. 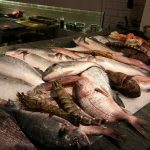 If you've been to Mykonos before, leave any comments/suggestions you may have. Let's spread the wealth!